I am fortunate to possess the superpower of falling asleep anywhere when I'm tired. I've slept in airports, cars, on desks, couches in the library, even people's shoulders. I can sleep with hoop earrings on, but if I wear these bad boys, I'm fairly sleep-proof, unless I want to imprint my forehead with wherever I lay it on. 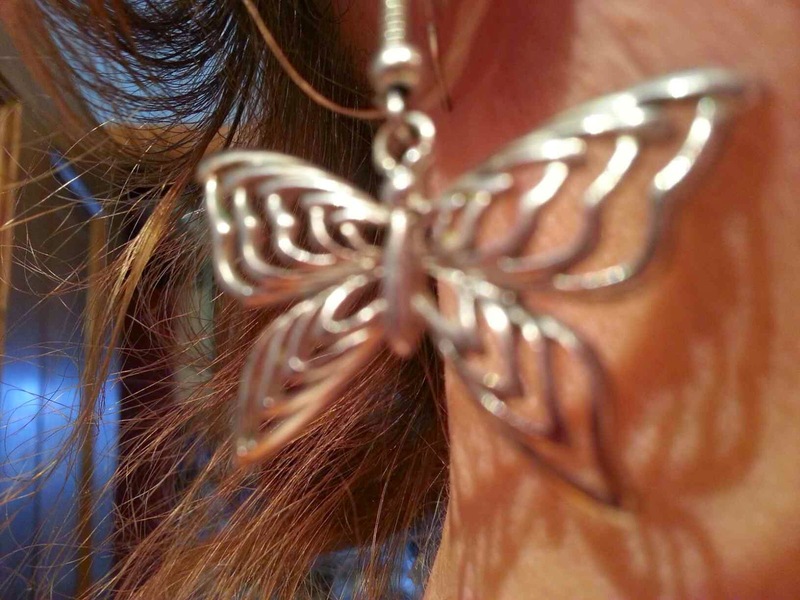 So if I really need to get something done, I wear my sleep-proof earrings. How do you keep yourself awake? 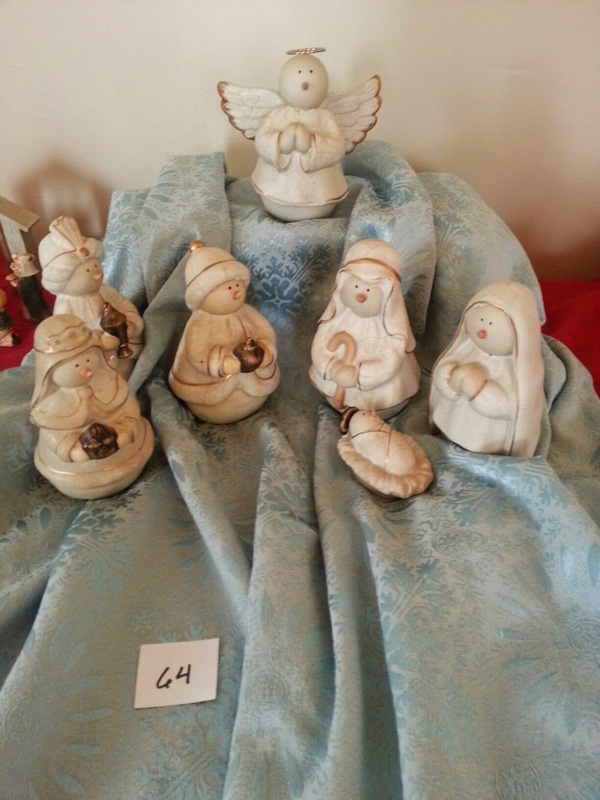 Unusual Nativity sets - Snowmen and Pantyhose! 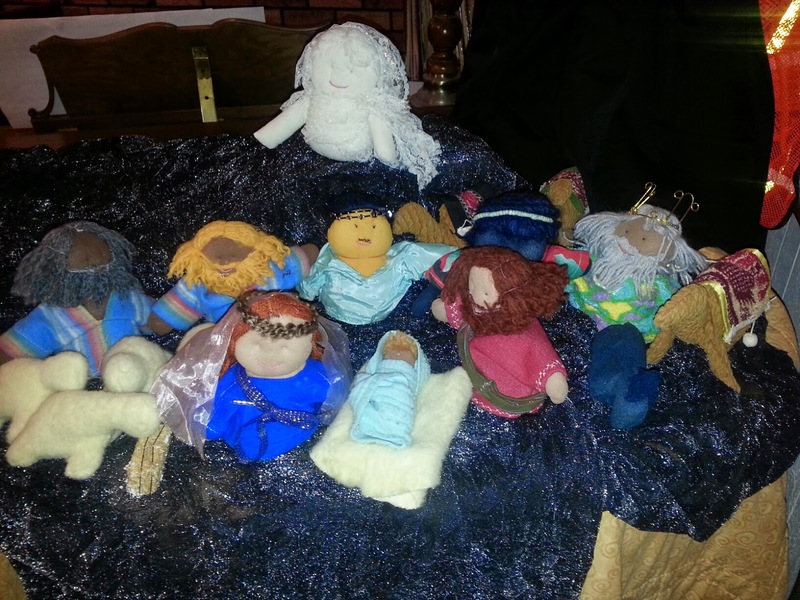 When we had three pre-school boys, I made this Nativity set out of pantyhose, fabric, and yarn so that our sons could touch and hold the figures without fear of breakage. As we added three more sons to our family, they enjoyed "riding" the camels, playing "Toss the Sheep" and Angel Football games. Having a hands-on Nativity set has been a fun and memorable Christmas tradition for the Bahlmann family for 30 years! While I don't own it, this snowman Nativity set made me smile. Do you have a Nativity set? Tell me about it! 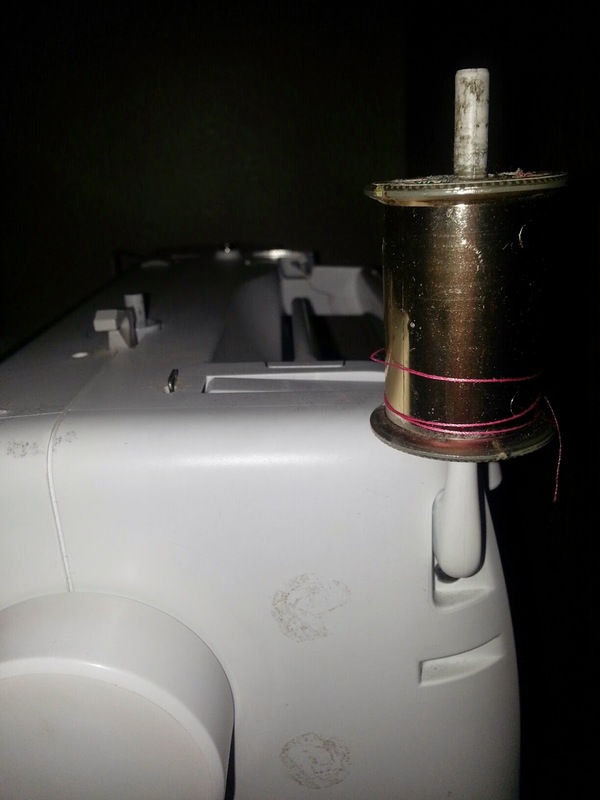 Just after I finished a sewing project and put my machine away, I noticed how much thread was left on the spool. IT WAS A CHRISTMAS MIRACLE! Charlie Pulsipher Does it Again! Take a Look at Book 2 in the Popular "The Lost Shards" series! Kaden knew using the wormholes would be dangerous even before one of them took him to another universe. Aren knew her empathic gift could cause problems as she she tagged along without permission. The elves, dragons, and a lost geneticist may have surprised them, but nothing prepared them to face off with a hungry, imprisoned god who sees them standing in its way when all it wants is to be free of its prison. Everything two gifted teens and a wayward geneticist have may not be enough to save all of reality from being devoured. 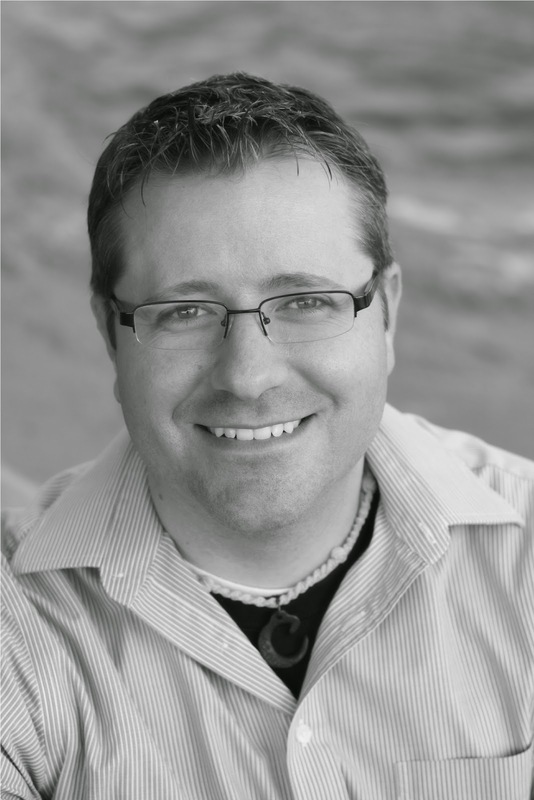 Author Charlie Pulsipher announces Book 2 in "The Lost Shards" series. 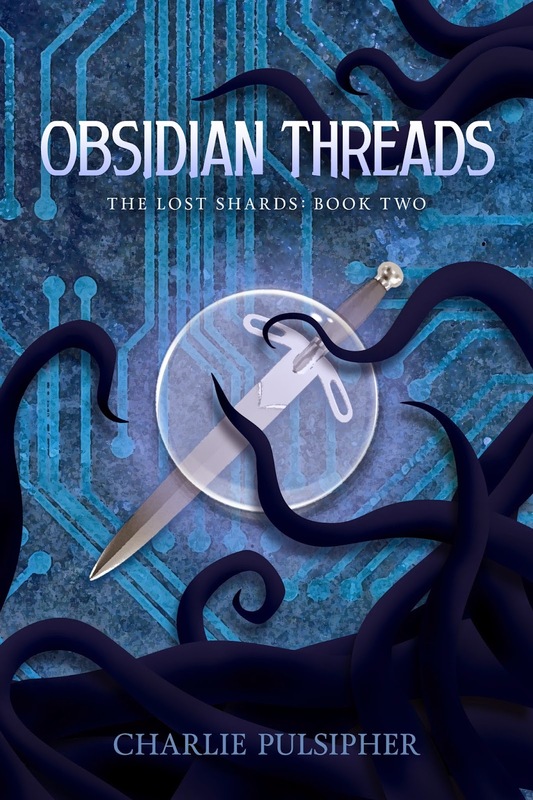 The science fiction/fantasy adventure "Obsidian Threads" will be released on December 1, 2014. Rho has awakened. Its acolytes will tear worlds apart to release their deity from its prison. Any hope of Rho's defeat lies with two people lost in a strange universe. Kaden and Aren must learn to harness all their unique gifts if they are to rival the god of darkness reborn. They will not fight alone. A brilliant geneticist, a furry dwaro, two less-than-friendly elves, dragons, and a spunky red-haired computer stand with them. But if Kaden and Aren fail to reach their full potential, all of reality will be devoured until nothing remains but Rho. Author Bio: Charlie Pulsipher is a were-hamster and lemur enthusiast living in Southern Utah with his lovely wife and neurotic dog. He writes sci-fi and fantasy, and sometimes both at the same time. He’s obsessed with surviving the inevitable zombie-apocalypse. It’s coming. Tell your friends. He spends his time away from the keyboard hiking and camping in stunning Southern Utah. He also enjoys woodworking, painting, drawing, and pretending to have super powers. He neglects his twitter account. His velociraptor impression is worth seeing. Ask him to show you. It just may be the coolest thing about him. Titles of published books: The Crystal Bridge (Book 1 of The Lost Shards), Zombies at the Door. 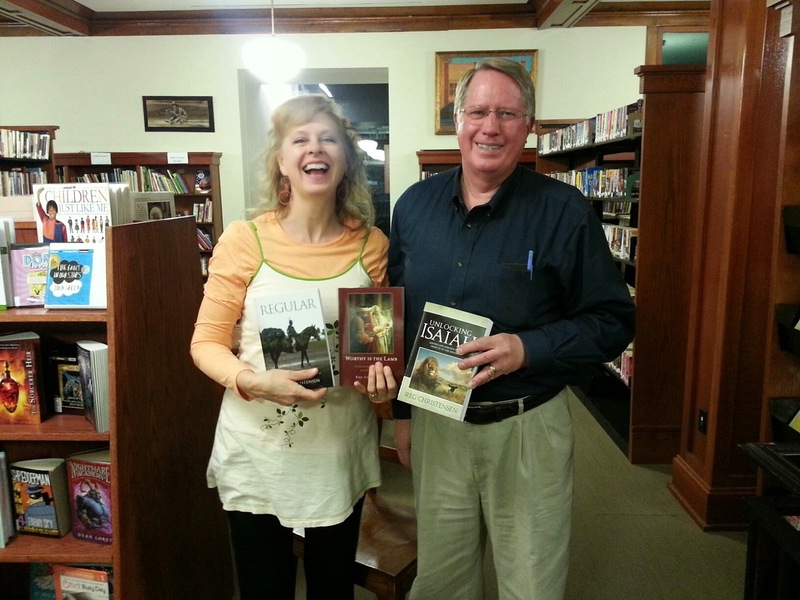 Look who I met when author Reg Christensen came to town! I went to the Ephraim Library after the city light parade and we talked shop and I bought another one of his intriguing books. Even though he has another title published through Covenant, he told me that he hasn't yet decided if he's an author or not. He looks like one to me! 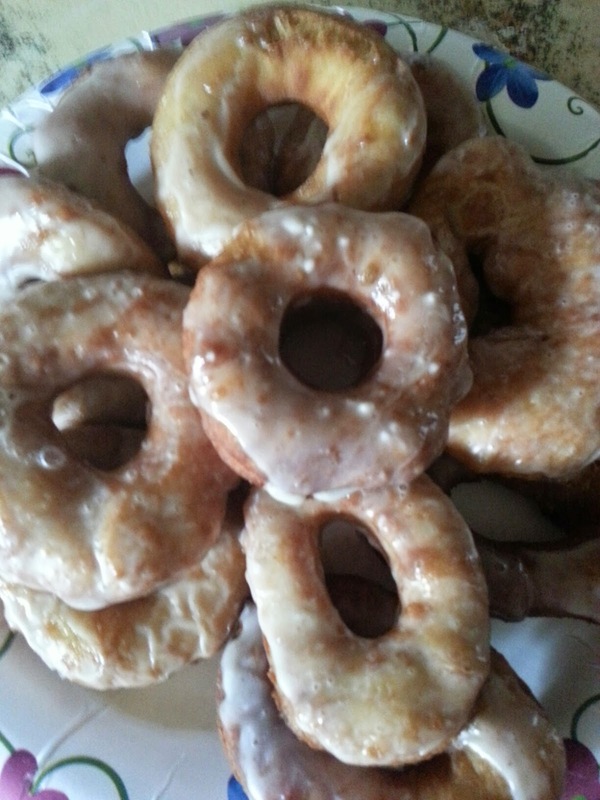 I did not wake up this morning planning on making spudnuts, but the mashed potatoes in the refrigerator stared me in the face one too many times, and my oldest son reminisced last night about the ones I made when he was a boy, so my body went on autopilot and made them while the rest of me was busy thinking of what I wanted to write.